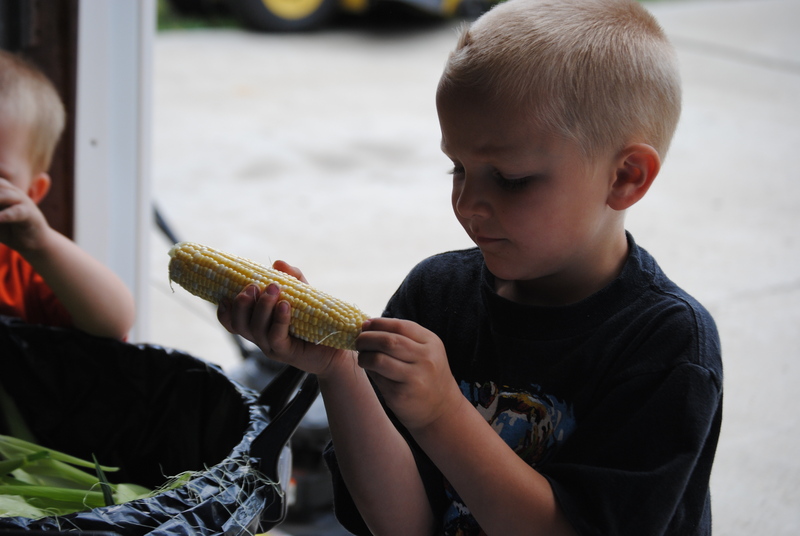 After weeks of waiting, our sweet corn is finally ready to enjoy…and enjoy it we have! 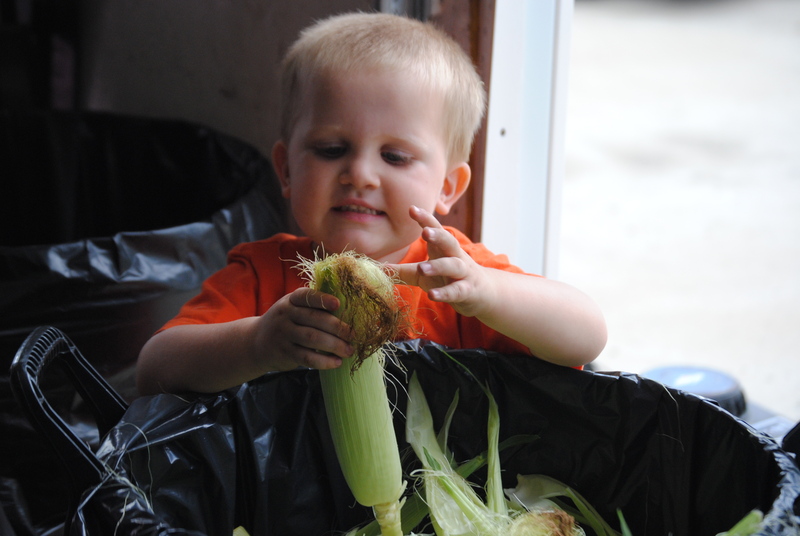 EJ is a big fan of sweet corn, too! After my last post on sweet corn, I received some interesting suggestions as to what we could do with our farm…namely, someone thought it would be best if our farm were to burn down. That wasn’t very nice, now was it? 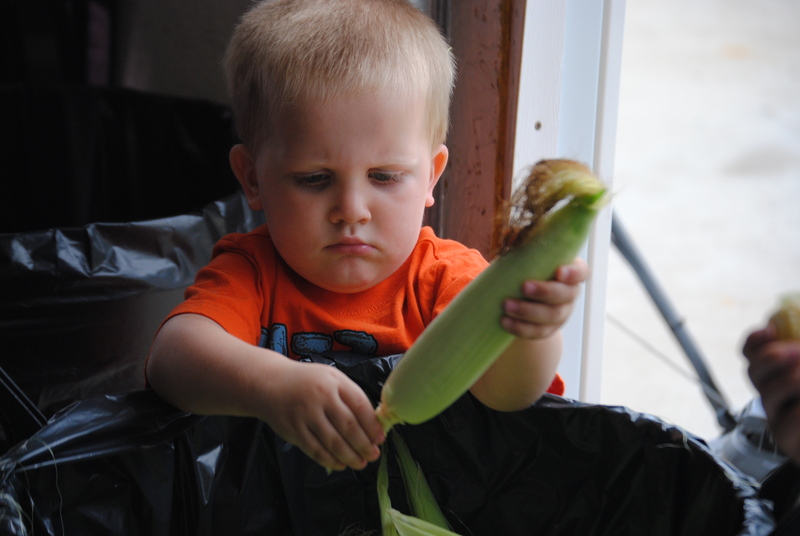 This little one is excited for some sweet corn…and I’m excited about the possibilities! This entry was posted in Agvocacy, Corn, Food freedom, Harvest, Projects and tagged agriculture, agvocacy, farming technology, feeding the world, food choices, future farmer by wagfarms. Bookmark the permalink. Can’t wait to enjoy some of this soon! Yum! YUM! And I bet George isn’t much of a snuggler unless he’s tired or sick (you can see the energy in his face LOL) but I just want to scoop that boy up for a hug!